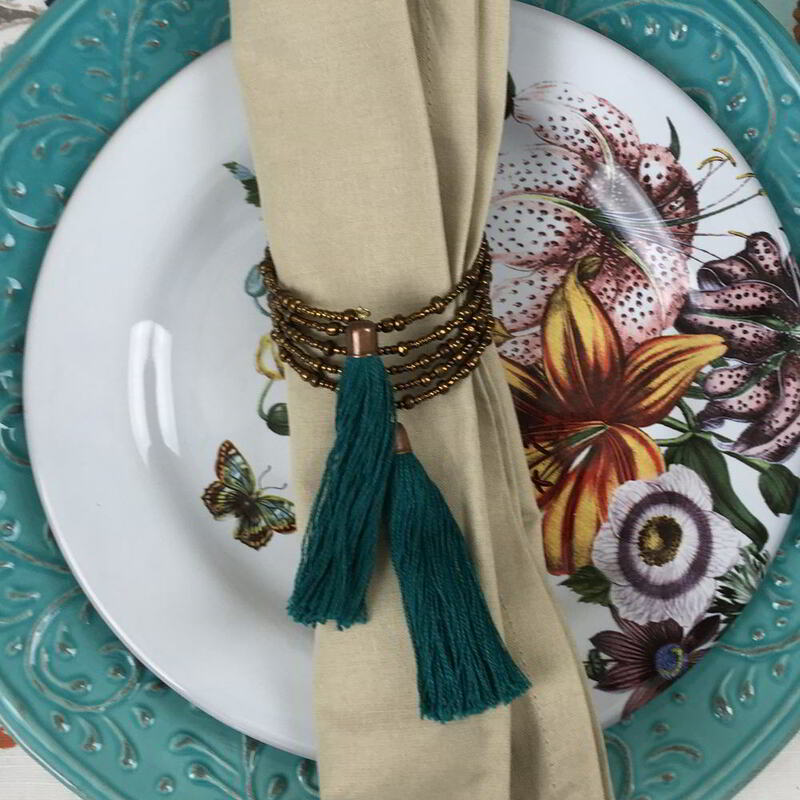 We love making jewelry and that means even for our home accents! 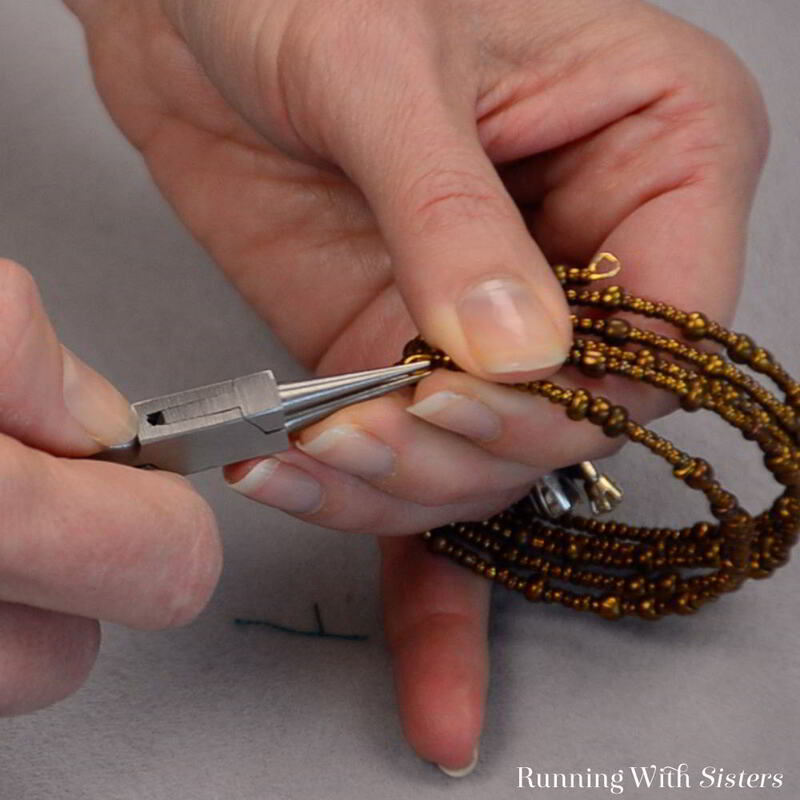 This technique is the same one we use to make memory wire bracelets, but we’ve tweaked it to make beaded napkin rings. 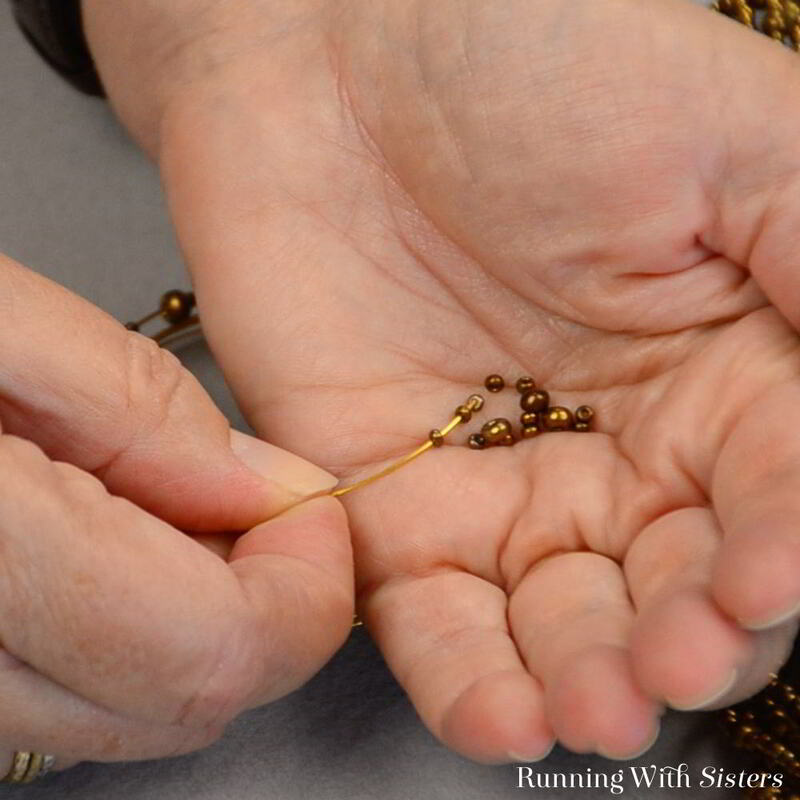 We’ll show you how to use memory wire, some tips for adding beads quickly, and how to make tassels from scratch using embroidery thread. For this project we have a complete how-to video and all the steps written out too. 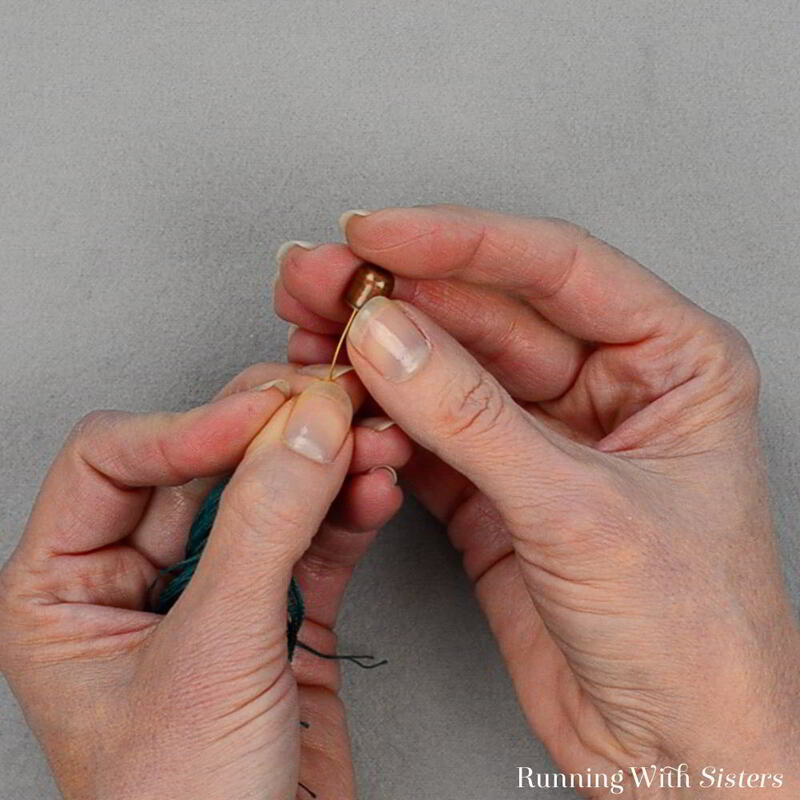 Watch the video as we make the beaded napkin ring, then use the instructions to make your own! 1. 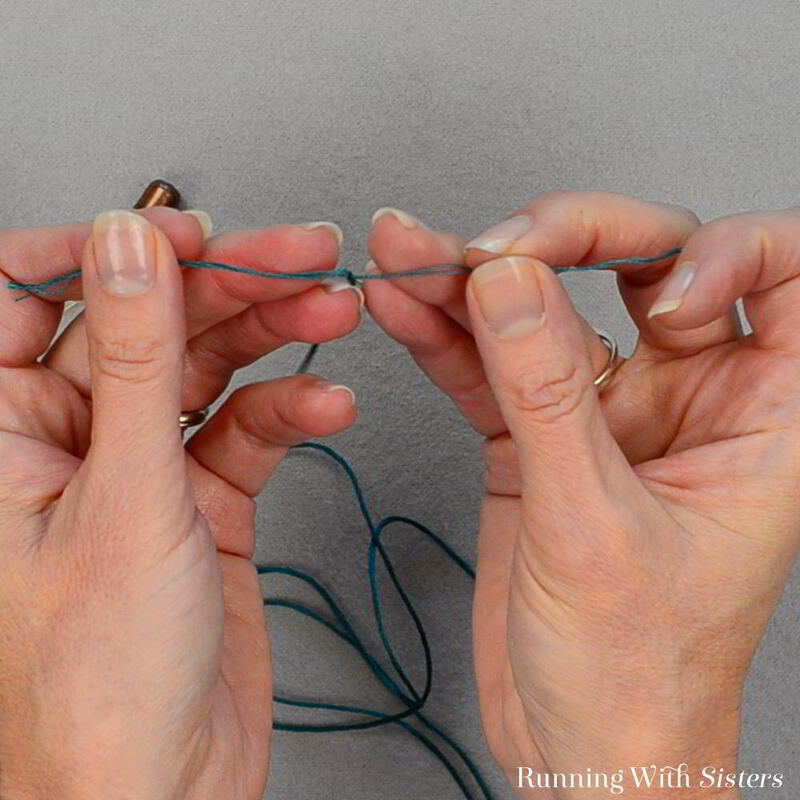 Use your fingers to count five and a quarter coils of memory wire. Cut the memory wire with heavy-duty wire cutters. 3. Slide the glass seed beads onto the memory wire. Bead all five coils, leaving 1/2″ unbeaded at the end. 4. Roll a loop in this end of the memory wire. If you have too much wire and the loop doesn’t meet up with the beads, keep on rolling. Trim the excess wire off the loop using the wire cutters. 5. 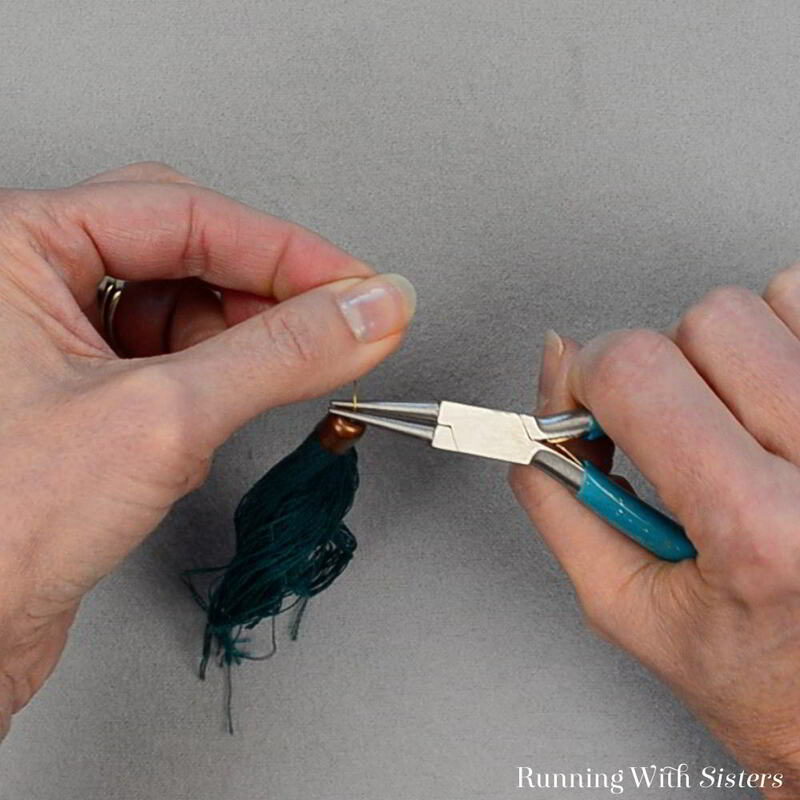 To make a tassel for the napkin ring, cut four 36″ pieces of embroidery thread. 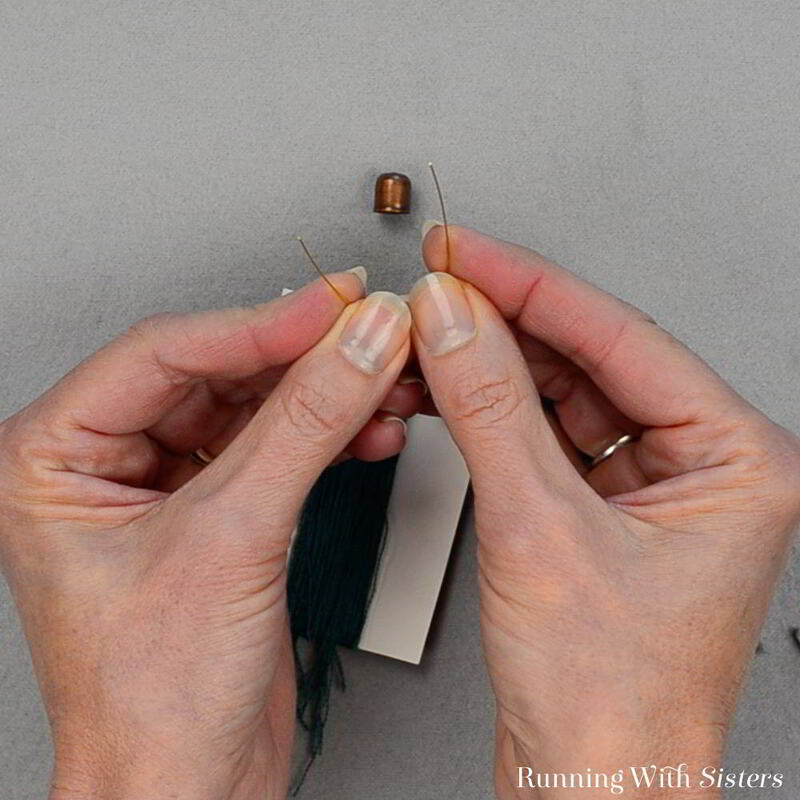 Pull the embroidery thread apart into pairs of strands. (Our embroidery thread had six strands that were twisted together. We pulled them apart and got three pairs of strands.) Separate the strands slowly or they are likely to tangle! 6. Cut a piece of card stock 2″ x 3″. 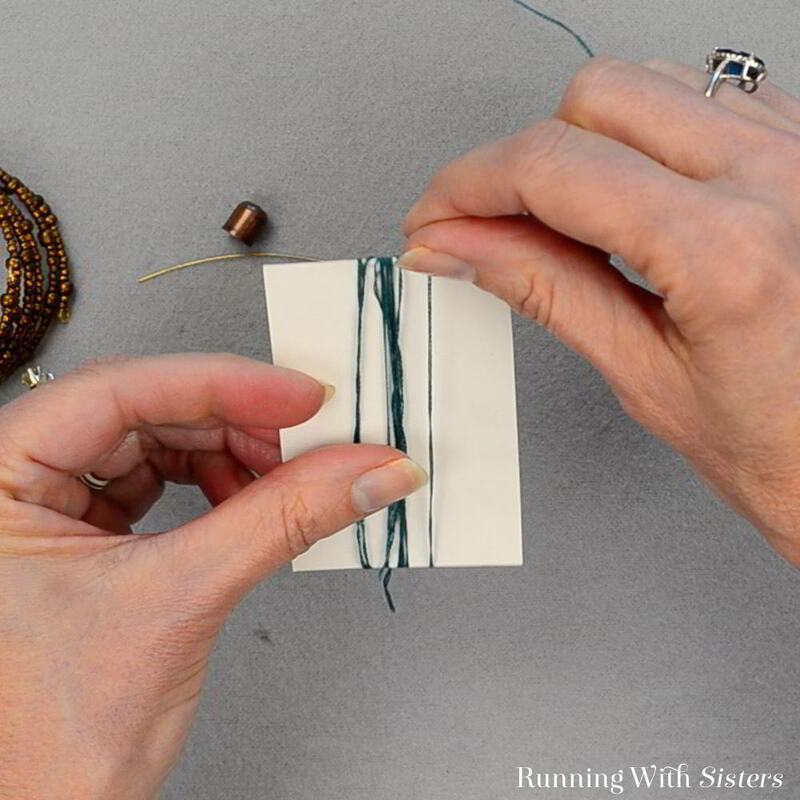 Wrap the first pair of strands around the card stock the long way. Wrap around as many times as it will go. 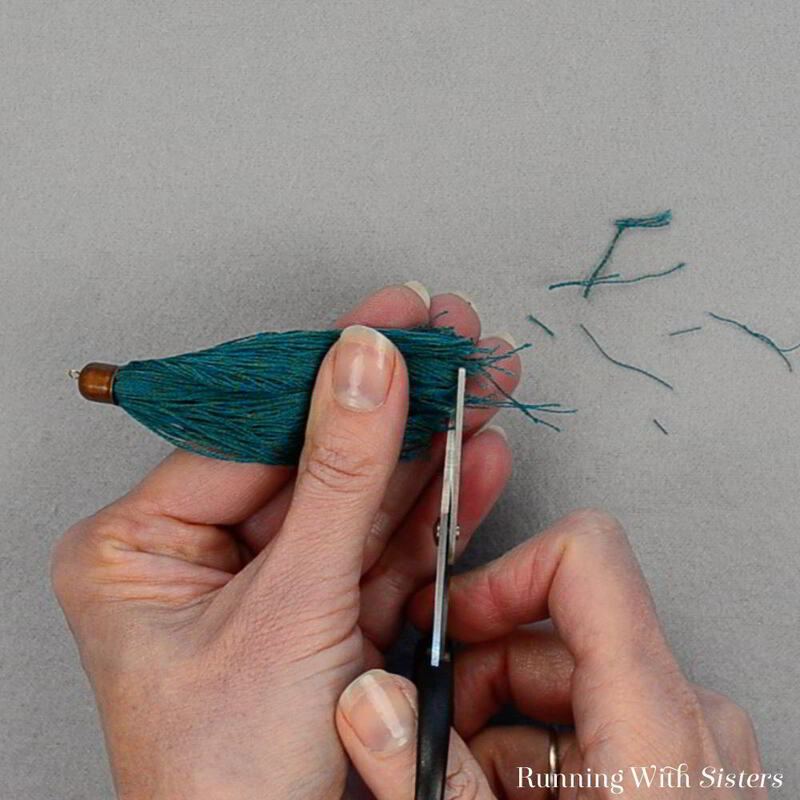 Then layer on another pair of strands. Keep wrapping until all the strands are wrapped around the card stock. 7. 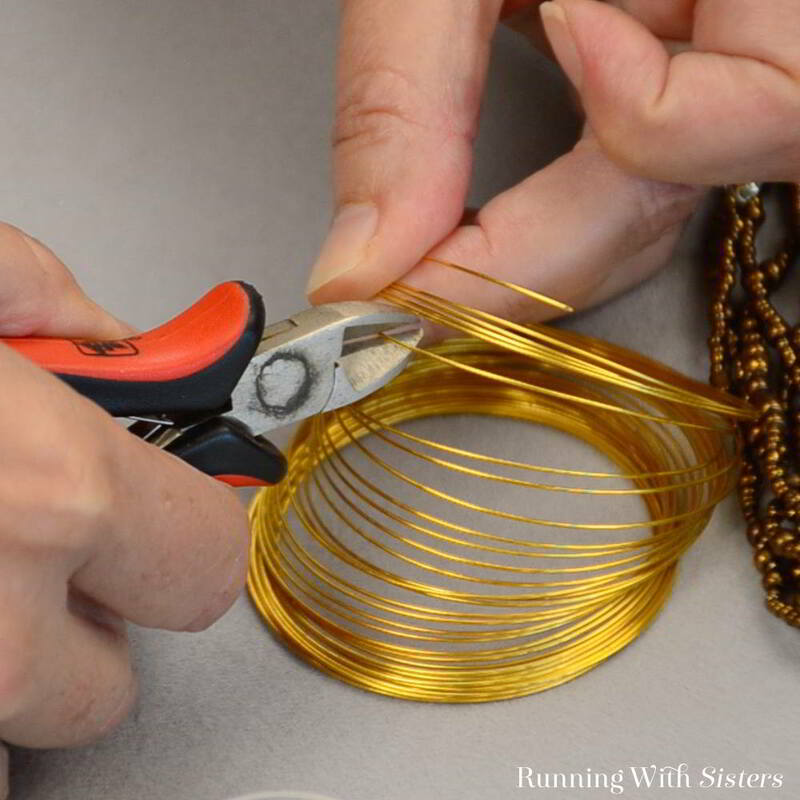 Use the wire cutters to cut a piece of brass wire 3″ long. Use your fingers to bend the wire into a hairpin. 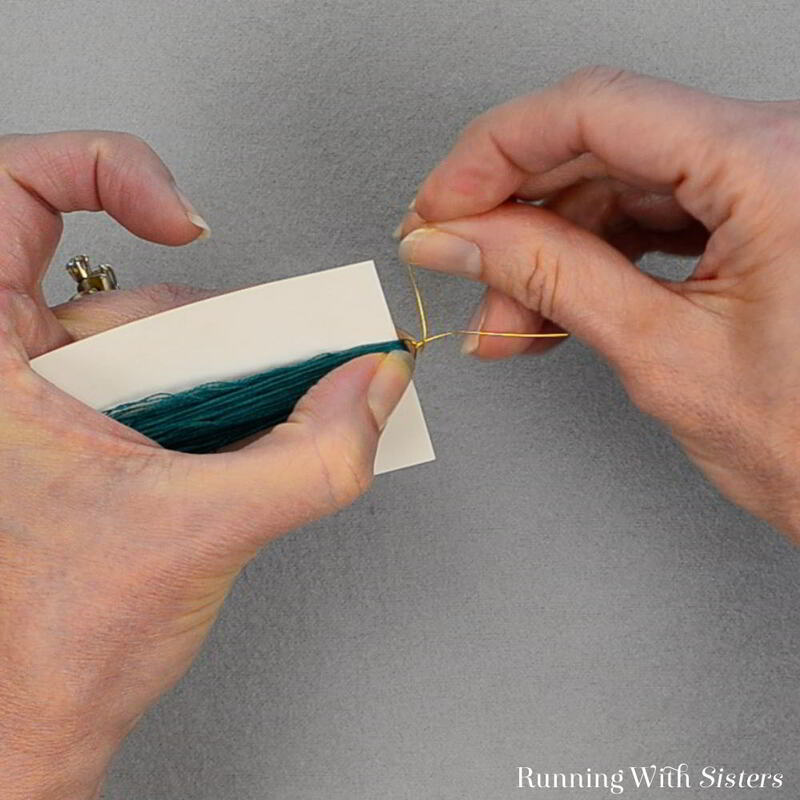 Slide the brass wire “hairpin” between the wrapped threads and the card stock. Pull the hairpin to the end of the card stock. 8. Leave one end of the wire straight. Wrap the other end of the wire around the first one two times. Trim with wire cutters. 9. Remove the piece of card stock. Feed the straight wire end into the bead cap. Nestle the bead cap down over the top of the gathered threads. 10. 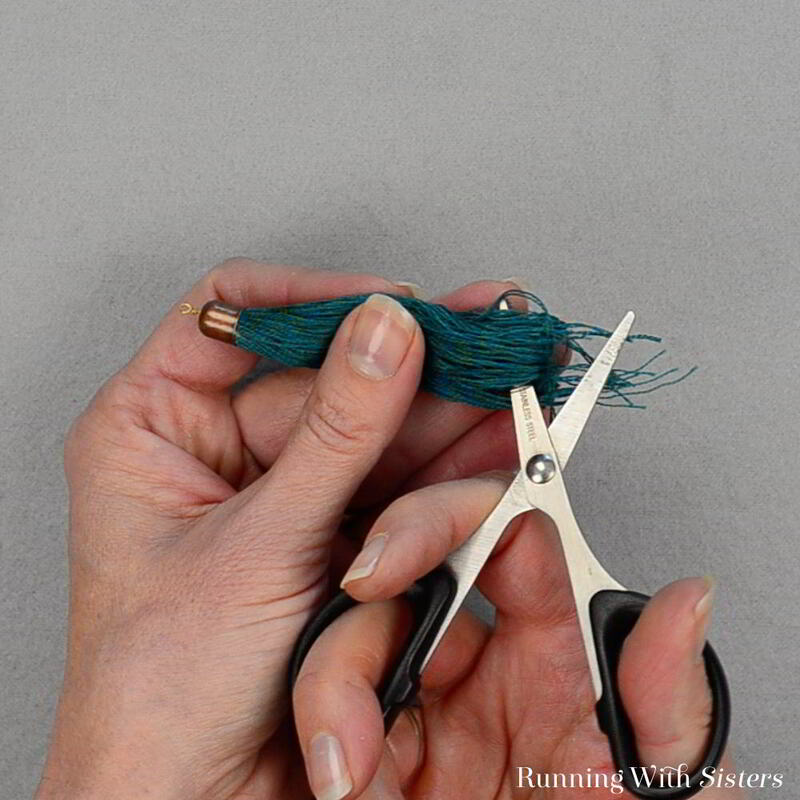 Use the scissors to cut the bottom loop of the threads. Trim the bottom edge to make the tassel ends straight and even. 11. 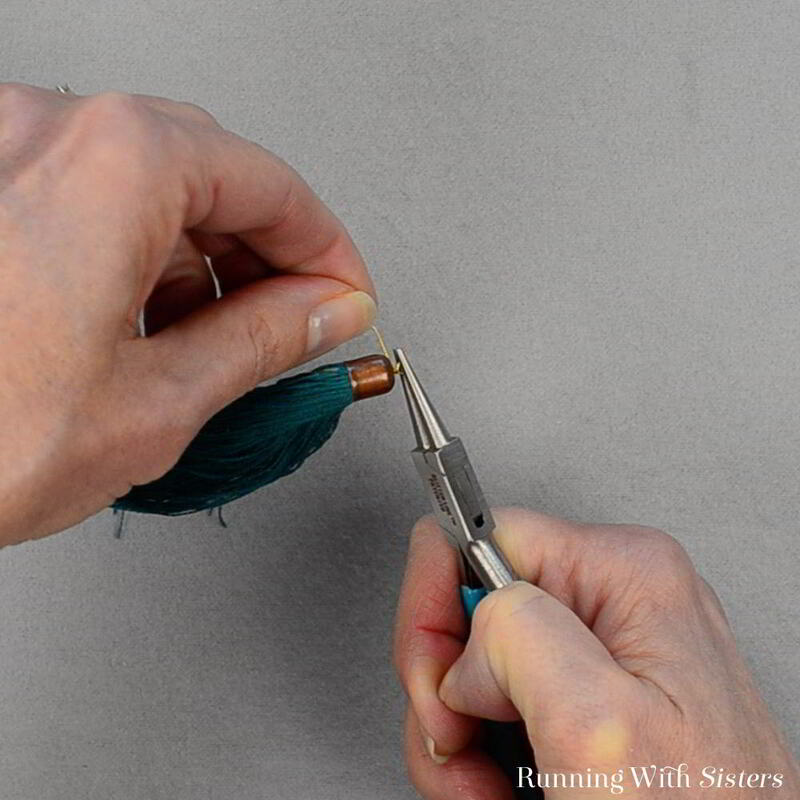 Next, use the round-nose pliers to hold the wire at the top of the tassel. Use your fingers to bend the wire 90 degrees over the pliers. Reposition the round-nose pliers into the top of the bend. Wrap the wire over the pliers. Reposition the pliers so the bottom jaw is in the partial loop. Finish pulling the wire around the pliers to make a complete loop. Then wrap the tail around the neck two times. Trim with the wire cutters. 12. 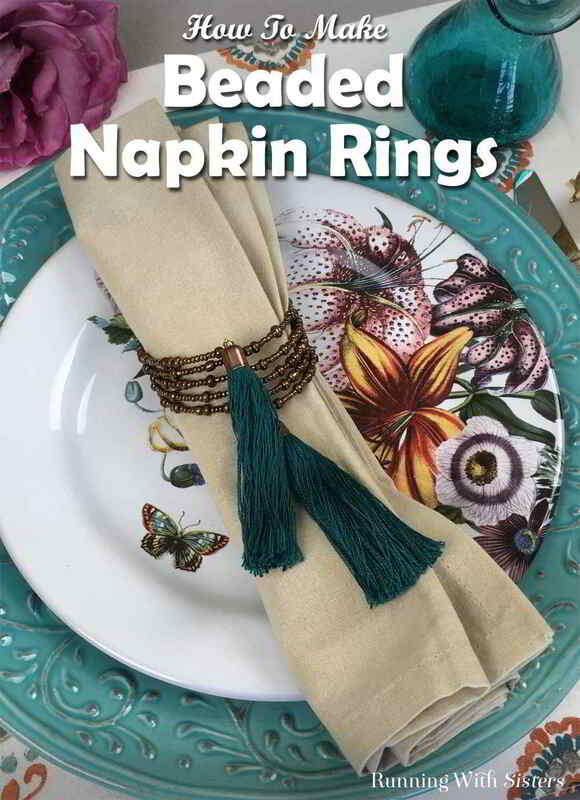 To attach the tassel, open the loop in the end of the napkin ring by bending the loop out slightly. Slide on the tassel. Close the loop. Have you tried any beaded home accent projects? What have you made? We’d love to hear from you! Leave us a comment!